Administrators pulled the plug on Leadership’s lunch event this afternoon, leaving students puzzled over whether or not they have seen the last of Sprit Fridays. After a series of warnings, Craig Alessi, assistant principal, disconnected the entire sound system while a student was still participating in the freestyle rap. The crowd complained loudly when the music stopped. Eduardo Hernandez, SAS Junior argued to Alessi that there were alternatives ways that could have prevented such an incident. “When I tell you to turn it off, it means turn it off,” Eduardo said Alessi yelled at him in front of other students. During today’s activity students were playing the “Human Object” game, where students were asked to build a human pyramid. Things took a wrong turn after a student was dancing suggestively on top of another student. Administrators asked the event committee to end the game and go on to another game. A meeting has been scheduled on Monday to decide what will occur next. Leadership Coordinator Randall Fenderson said next week’s Friday event maybe cancelled. 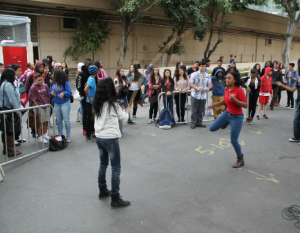 “It is important for administrators to actually cooperate with leadership because little events like Sprit Friday raises school sprit,” said Jessica Vicente Torres, SAS senior. Gerardo Chan, Holly San Nicolas, Ray Reyes, Azniv Derdezakyan, and Erika Salazar contributed to this story. Morrissey fans began lining up Saturday afternoon on Highland Avenue. By the 7:30 p.m. show time, the line stretched down to Sunset Boulevard and Orange Avenue. After annoyed fans complained about the unorganized distribution of tickets at will call, the doors finally opened and people raced to the front of the stage. At 10 p.m., Morrissey, sporting a cobalt floral shirt, came out smiling and roaring screams resonated throughout the auditorium. The Moz opened up with “Alma Maters,” appropriately, and played a set based heavily on his solo career. Occasionally, he would play an old Smiths favorite such as “Still Ill” which brought even greater cheers from the crowd and multiple hands waving across to reach out and touch him. The most shocking was his dramatic performance of The Smiths “Meat is Murder” which was accompanied by a backdrop of gruesome video clips of animals being slaughtered for human consumption, courtesy of footage from a 2002 documentary “Meet Your Meat.” Many fans were forced to look away and others watched with curiosity while Morrissey turned his back to the audience and kneeled to the floor in a dejected manner. Morrissey ended his set with “Let Me Kiss You” and, as always, tore off his (now third) floral button down to the crowd revealing his aged torso and creating chaos amongst the wild fans. As tradition, fans began to jump on stage during the encore “The Boy With The Thorn In His Side” and Morrissey gladly hugged those able to escape from security, including a young boy by the name of Devin who walked hand in hand with Morrissey while singing the final lines of the song. Morrissey’s performance is one of the biggest things to happen to Hollywood High School since Elvis Costello performed in the cafeteria back in 1978. 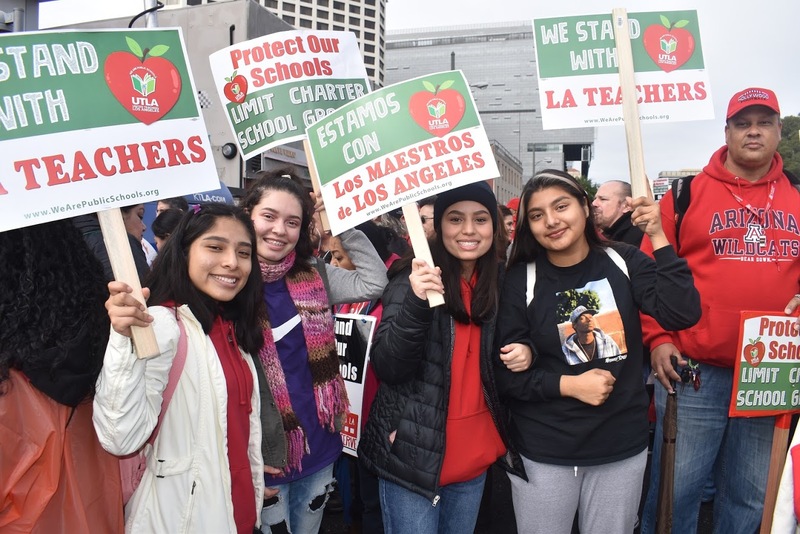 It was a truly memorable experience and goes to show that Hollywood High school is still an iconic attraction that will continue to be known for its famous guests, and it proved that Morrissey has maintained his legendary rock star status after so many years. CC:How long have you been playing basketball? 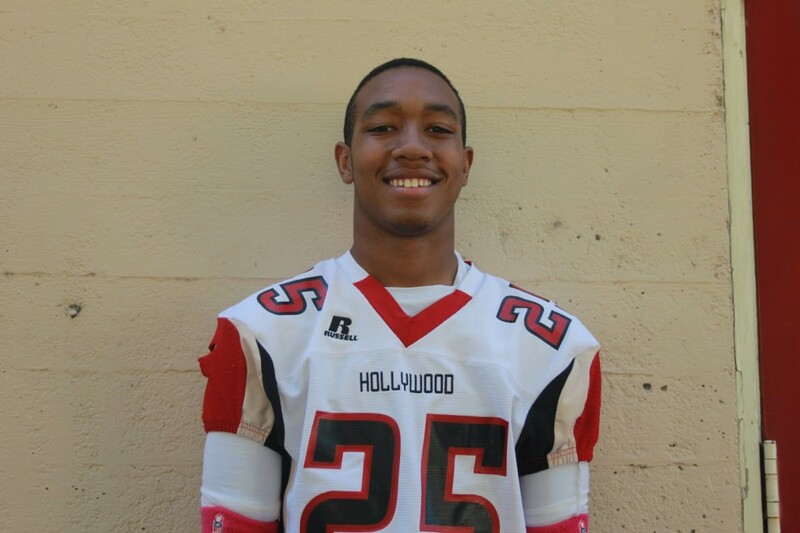 AR:I’ve been playing since the 3rd grade. CC: How do you feel knowing that you’ve been chosen as athlete of the month? AR: It’s an honor to be picked and it was shocking but I’m glad I had the opportunity. CC: What was one of your best moments on the court this season? AR: I made a jump shot that I didn’t think I was going to go in because I’m not a jump shot shooter. 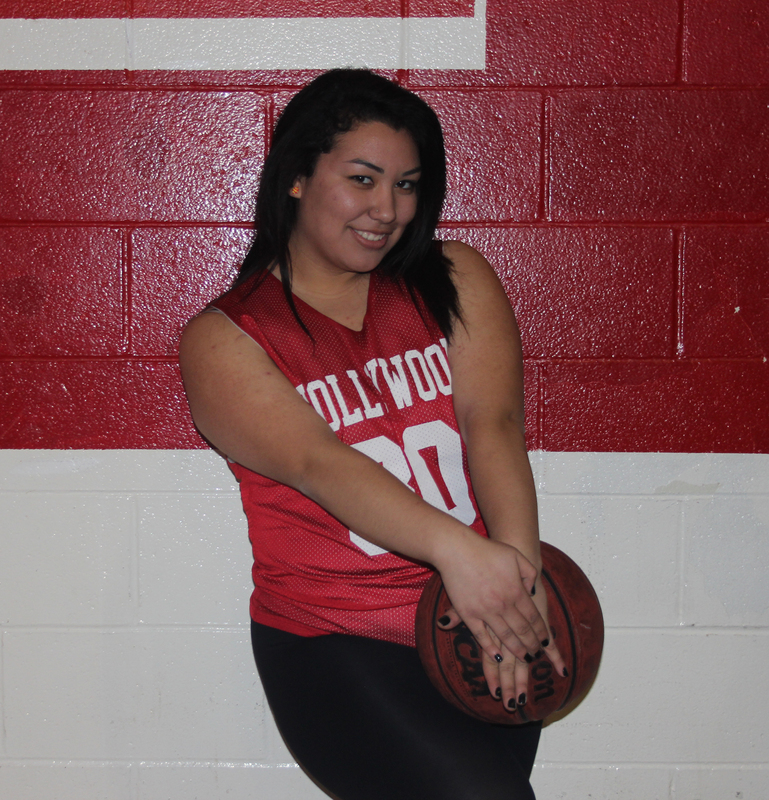 CC: What do you like the most about being part of the basketball team? AR: What I like most is getting to be with my team and playing with people I care about. 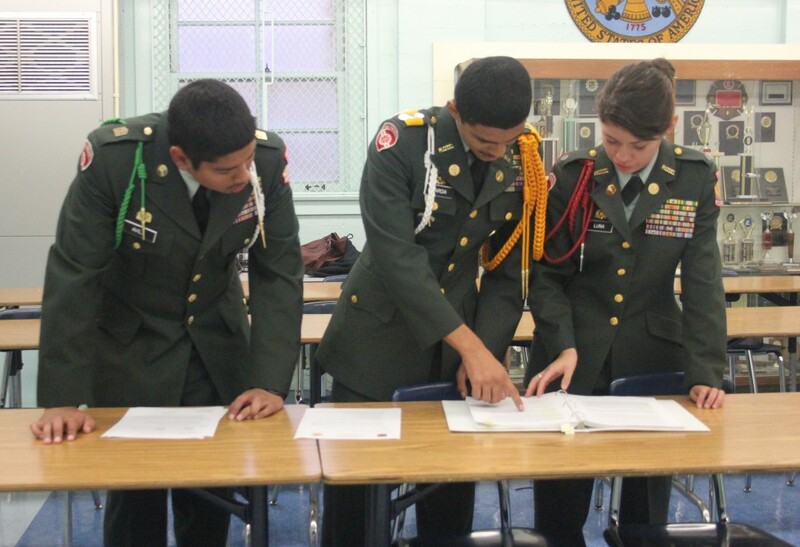 The JROTC Sheik Batallion had their annual All-City Drill Competition on Saturday Dec. 8, at James Monroe High School. The Company team went up first, following commands that the Batallion Commander Freddy Garcia gave them along with their Platoon Leaders Executive Officer Estefani Luna and Command Sergeant Major Erick Avila. 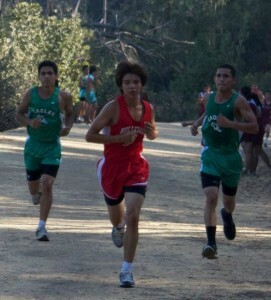 Garcia and Avila are SAS juniors and Luna is a SAS senior. The Platoon went after, being lead by CSM Avila. This was then followed by the Armed and Unarmed Drill teams. 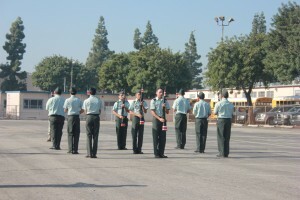 The Armed team showed off their rifle skills with a routine they made while the Unarmed team did a routine which consisted of beats and claps. Finally, Squad went up, which consisted of 11 people lined up in a single row who follow commands which were given to them by Squad LeaderJam Delos Reyes, an SAS sophomore. All teams/groups had to do their routines and commands in a limited amount of space and within a certain amount of time. The results of the competion are expected to be announced on Thursday. The Sheik Batallion hopes to make it in the Top 10 this year. 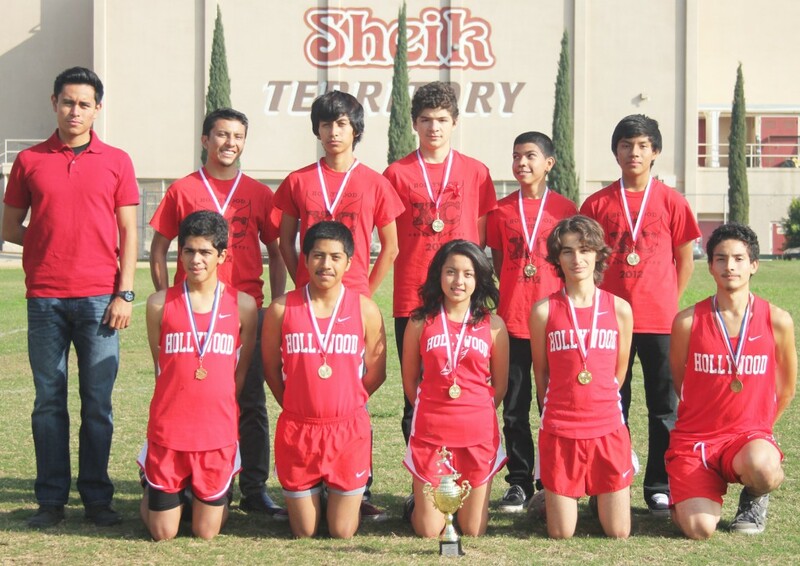 Hollywood High’s Cross Country team raced against the Bernstein Dragons on Oct. 25, 2012. The Junior Varsity girls and the varsity boys and girls won the meet. On Nov. 1, the team attended league finals at Pierce College. 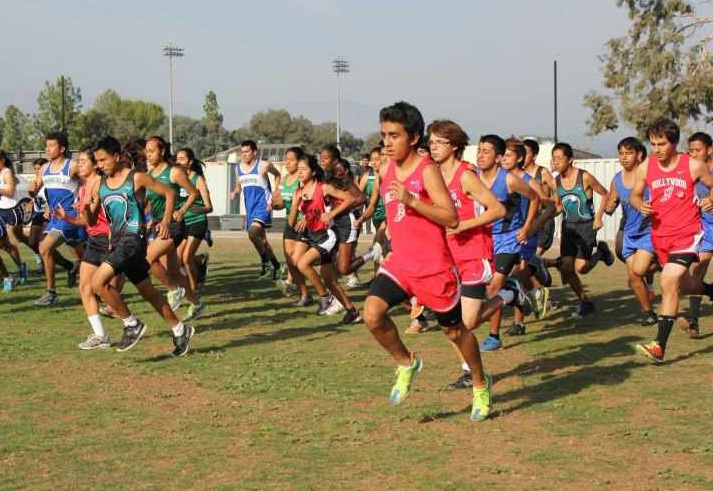 Magana and SAS sophomore Valeria Herrera, along with Varsity senior runners Alfredo Robles, Karla Hernandez, and the Varsity girls made it as a team. The Junior Varisity boys made history and achieved something that had not happened in over 33 years: they became League Champions and qualified for city finals as a team. How do you feel about being athlete of the month? What inspired you to start playing football? What is one of the best moments you’ve had on the field?